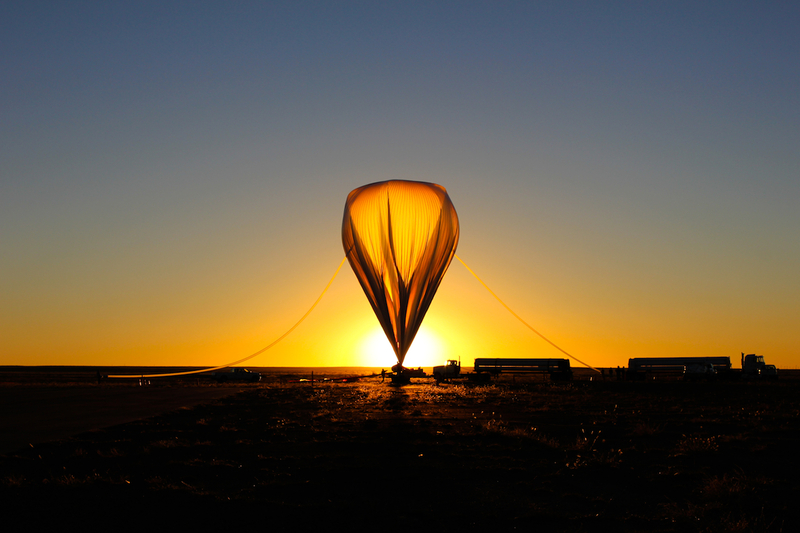 On Sept. 29, 2013, a scientific balloon launched from the Columbia Scientific Balloon Facility in Fort Sumner, NM, flying an instrument that scientists hope will eventually establish a new long-term benchmark data set pertaining to climate change on the Earth. The instrument, funded by a $4.7 million NASA Earth Science Technology Office Instrument Incubator Program contract, is intended to acquire extremely accurate radiometric measurements of Earth relative to the incident sunlight. Over time, such measurements can tell scientists about changes in land-use, vegetation, urban landscape use, and atmospheric conditions on our planet. Such long-term radiometric measurements from the HyperSpectral Imager for Climate Science (HySICS) instrument can then help scientists identify the drivers of climate change. The instrument relies on precise measurements of the Sun for on-orbit calibrations. These solar measurements provide calibrations of the Earth measurements against this well-measured solar reference that other high accuracy space assets provide. Based on accurate solar calibrations, the HySICS radiometric measurements of the Earth can thus establish a long-term data record that is ten times more accurate than any current measurements. “HySICS builds on LASP’s heritage of solar radiometry expertise to help us understand climate change on the Earth. This is exciting and societally relevant science,” Kopp said. The launch took place at 7:39 a.m. MDT under calm weather conditions. The balloon travelled northeast in the stratosphere before radio commands sent the instrument parachuting back to Earth (near Shamrock, Texas) at 4:15 p.m. The flight was the first of two intended to demonstrate the HySICS’s experimental techniques and acquire sample measurements; the next demonstration launch will be in the fall of 2014.